Join the London Peace Network, artists, film-makers and religious leaders at St Martin-in-the-Fields Church in Trafalgar Square for the premiere of a new short film, followed by a peace breakfast to mark the UN International Day of Peace. Register here by 20 September to join us on Wednesday 21 September 8am – 9am. Download the flyer. The film shows London places of worship open and welcoming and is the first in a series of short films and events. The film will be shown at Southwark Cathedral on 1 October in the presence of the Mayor of London, who initiated the #LondonIsOpen campaign. 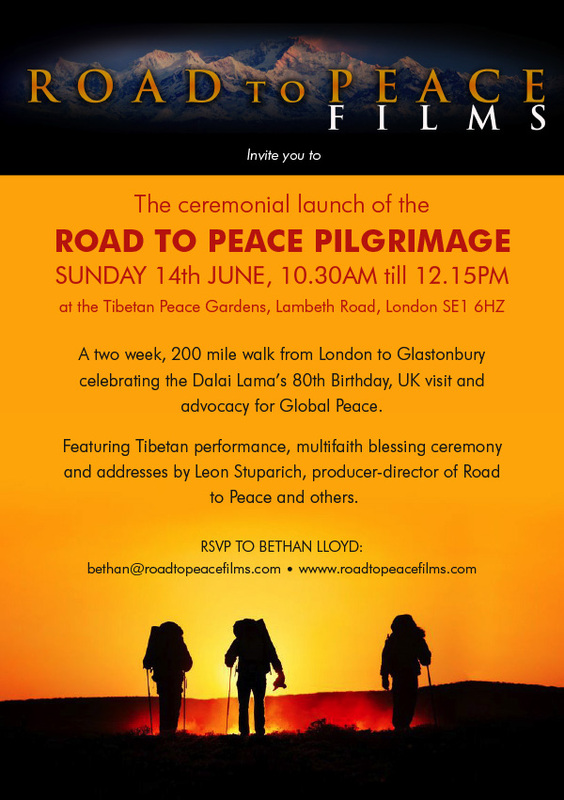 To mark the Dalai Lama’s visit to the UK, his work for peace and his 80th birthday, Road to Peace Films are setting out today on a 200 mile peace walk from London to Glastonbury. Present-day troubadours, they’ll be making music, telling stories and showing their films as they go on their way. They will be offered board and lodging by well-wishers. Check the map and see if you are on the Peace Pilgrimage route! Bethan Lloyd is the person to contact bethan@roadtopeacefilms.com. In her Christmas broadcast today, the Queen mentioned not only the Christmas Truce during WWI, but also the ancient Olympic Truce, which was the inspiration for the London Peace Network. Watch the broadcast here and find the full text here. A rich discussion on what Jerusalem means to us from our different traditions – at the first Peace Café. Not the easiest of topics – but we learned from each other’s stories, experiences and from our shared and diverse histories. People brought delicious food from across the continents: Bangladeshi biscuits, a fragrant rose water dish from Mauritius, rice and dal from India, dates from North Africa, trifle from England, pizza from Italy and hummus from Israel. It was a feast! 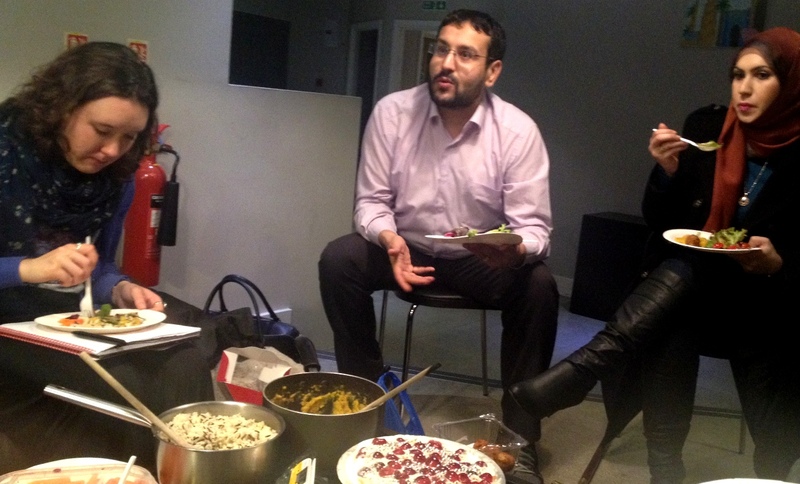 Join us next time on 12 January 6-8pm – bring a dish to share or bring ingredients to cook as we gather together. “All of us are going through difficult, sensitive and emotional days. But it’s time for someone to stand up and say what is on everybody’s mind. Even though it hurts.